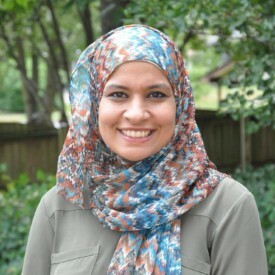 Ms. Heena Ali, in her second year at Tarbiyah Academy, is an innovative, fun, and passionate educator with over five years of experience working with students at varying grade levels in Islamic and public schools. She graduated with distinction from the University of Maryland with a Bachelor’s degree in Elementary Education. She is certified in Maryland to teach grades first through sixth. Ms. Ali strongly believes in implementing research based theories in her classroom instruction using technology and hands-on activities to engage in lifelong learning. She believes in fostering a positive classroom environment that is inclusive and helps the students’ socio-emotional development. Contact Ms. Ali at hali [at] tarbiyahacademy [dot] org.